Westcott Mercantile sells vintage glasses and bowls, butter churns, and many other interesting items. At Westcott Mercantile in Belmont’s Cushing Square, mid-century marvels like the working Dormeyer stand mixer with two milk-glass bowls ($48.50), and “Mad Men”-era Fire King polka dot glasses in red, green, and black ($68 per set) — perfect for iced tea or G&T — share space with contemporary Swedish sponges ($7.95) and owl-motif beechwood measuring spoons ($19.50). Butter churners ($126-$145) are displayed with whisks, popcorn poppers, and gourmet food items from family-owned businesses such as chocolate bits from Vermont’s Road Crew Crunch ($11.95 for 7 ounces). 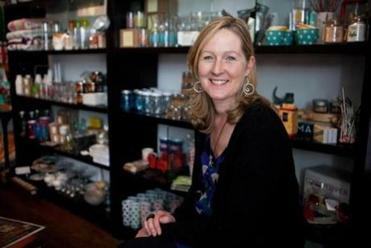 Owner Mary Westcott Thomajan, who opened the shop last spring, has curated an eclectic combination of new and old housewares, candy, and furniture. 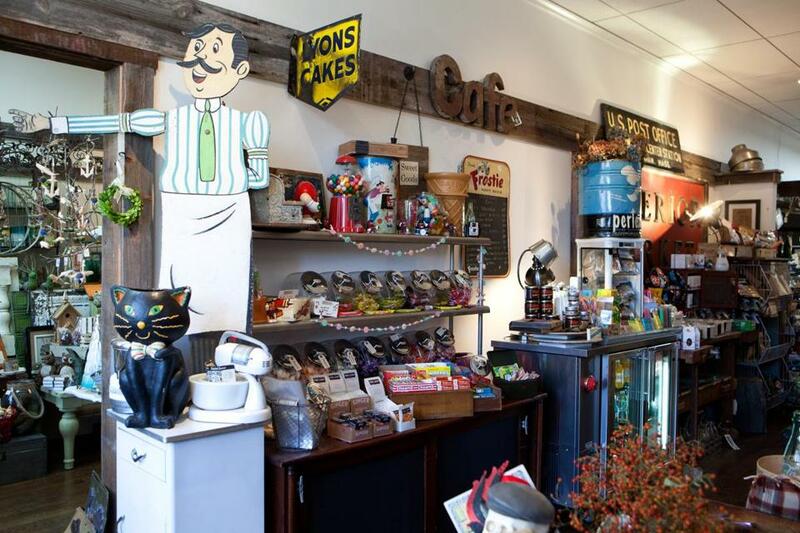 “We buy from estate sales, flea markets, and people who are downsizing,” she says, “if it’s quirky enough for our taste.” Westcott Mercantile, 438 Common St., Cushing Square, Belmont, 617-489-2390.